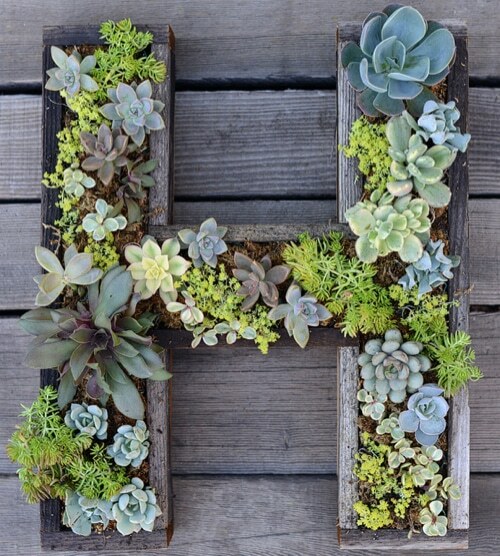 Here is something you will just love…wall-mounted art using letters made of succulents! This is a quick and easy project that will have your neighbors green with envy. And, the beauty of it is, you get to be creative by filling in the pre-formed letters with any plants of your choosing. Got an affinity for agave? A penchant for Pachycormus? In a few short steps, you’ll have something beautiful and totally you!